Are you planning on going to Grad School? Do you need to take the GMAT or the GRE? 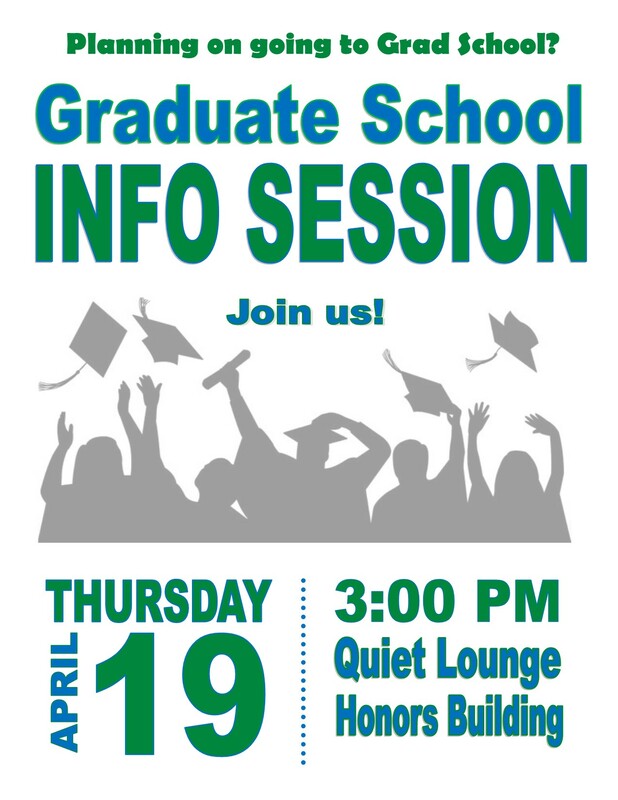 Join us this Thursday at 3:00 pm for a Graduate School Info Session in the Quiet Lounge of the Honors Building!